The Greens have consolidated in Australia’s “cool” city, but hold a deep suspicion of the urban development that keeps it that way. Many international relations theorists hold the perspective that in the 21st Century it will be cities, rather than nation-states, that will be the dominant global actors. As humanity rapidly urbanizes, and the gains from connectivity extrapolate, global organization will increasingly revolve around the people cities can attract, and how their skills can be harnessed and utilized. Performing this successfully will see cites move away from their home states, both economically and culturally, as a city’s interests diverge from its surrounding geography and it sees common bonds with other urban centers instead. With this in mind it is possible to look at Australia’s recent election results and acknowledge an interesting trend. While the electorate that encompasses the very center of Melbourne was won by the Greens in 2010 and was consolidated in the two subsequent elections, four surrounding electorates have seen an explosion in the Greens’ vote, and have the potential to be won by the party at the next election. This indicates a major cultural shift by inner-city Melbourne away from the rest of the country, where the party maintains limited support. Melbourne’s comparative advantage both within Australia and globally lies in its reputation as a “cool” city. This attracts the young and creative, who see the advantage of concentrating themselves in certain areas of the city. The cost of housing and hostility towards nightlife in Sydney, Melbourne’s urban rival, is compounding this phenomenon. And as the two seats within central Sydney that have similar demographics to central Melbourne saw the Labor Party increase their vote in the recent federal election, there is a further impetus for Greens voters to move to where their tribe has greater numbers and can achieve political victories. The Greens core vote is no longer just confined to those deemed “bohemian,” or those working in the arts, design, and media, but is increasingly expanding to encompass the fields of science, engineering, education, and computer programming. It is the further development of these industries that is essential for driving an economy based on knowledge, that can feed into services, and away from the modern instability of commodities and manufacturing. 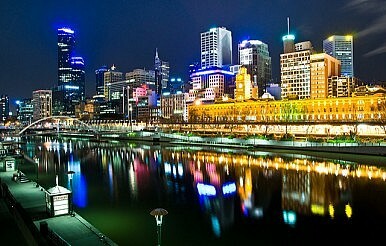 Therefore the trend to concentrate these professions in Melbourne is of great strategic advantage to the city. However, while these are highly educated individuals, their educated background doesn’t prevent a deep groupthink from forming and attaching itself to counterproductive ideas. Greens voters concentrate themselves in central areas of Melbourne as they instinctively understand the benefits that flow from dense urbanization. However, rhetorically they maintain a deep suspicion of urban development, and within this perspective they sow the seeds of both their own demise, and that of Melbourne’s ability to leverage their skills. A major component of Melbourne’s ability to project power relies on the city maintaining cheaper housing than, at least, Sydney in order to attract the young, Greens-voting, “creative classes,” and to also provide greater opportunity for the financially insecure. Shaping a culture that is hostile to the supply of new housing significantly undermines the city’s capabilities to do this. Australia’s modern Greens voters have not originated from the traditional working class, instead they are predominantly the descendants of the financially secure middle classes, and as a result bring with them a range of middle class mores to their perspectives and prescriptions. Through these perspectives, building height and density are deemed uncouth, residential arrangements that don’t conform to their ideals are labelled “slums,” and aligning with conservative social thought “authenticity” comes from a building’s age. These sentiments have significant influence even without the Greens being in government. The current Victoria state planning minister, Labor’s Richard Wynne, has his seat under threat from the Greens, and as a result has imposed tighter restrictions on building height, as well as created new apartment standards in order to facilitate greater dinner-party functionality. These will undoubtedly price people with more pressing concerns out of the city’s opportunity-laden central areas, as well as pushing larger numbers of people out into areas where their carbon emissions will be greater. Ironically, this hostility towards urban development from the “aesthetically aware” prevents them from fully contributing to the city’s development, which leads to building designs they don’t like being implemented, further exacerbating their hostility. Their opposition to new developments also leads to increased profits for the developers and investors they claim to dislike, as limited supply leads to price increases. With its significant population growth, progressive culture, and a concentration of post-industrial professionals, the groundwork has been laid for Melbourne to increase its global influence. However, in order to fully take advantage of these assets, the city will rely on its increasing number of Greens voters to liberalize their instincts, and begin to understand the inherent contradictions within their orthodoxies.